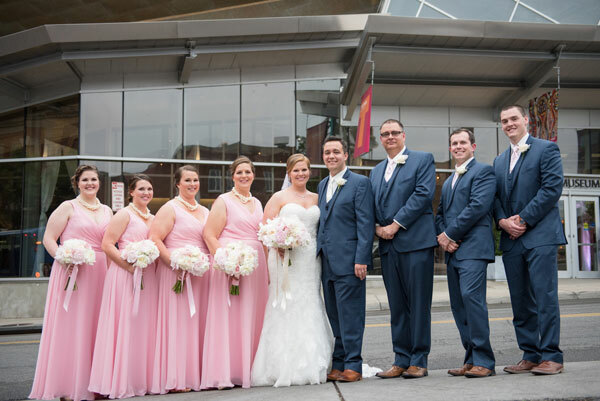 Lauren Ammar and Troy Dawley met at Carilion Clinic where they had an instant connection. Despite having a bit of a long distance relationship (Troy in Texas and Lauren in Virginia), the couple brought a new light into each others lives. Troy proposed on a once-in-a-lifetime trip to Italy. Early one morning on a dock in Venice, Troy hired a photographer to capture the moment and asked the question just as a boat full of people floated by and cheered for the happy couple. They spent the rest of the trip celebrating. 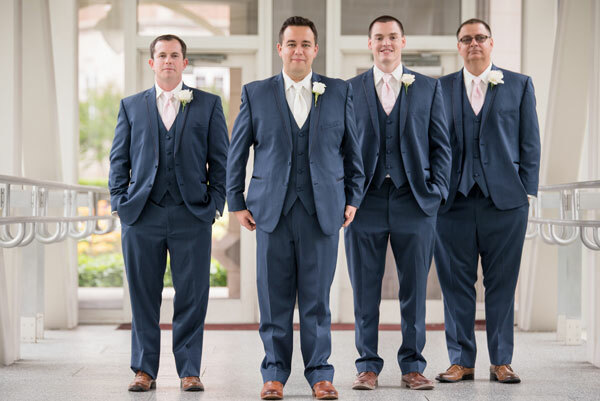 Troy says that his favorite part of the wedding was during the ceremony when he was watching Lauren walk down the aisle because he "couldn't wait to be her husband.". 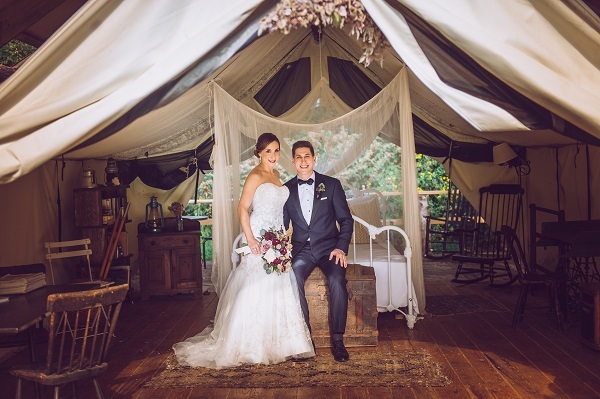 The rich wine and gold mixed with floral patterns made the wedding a perfect transition from summer into fall. Mixed china and "his and hers" cocktails added charm during the reception. Guests were delighted by the choreographed father-daughter dance as well as the first husband-wife dance, adding a special uniqueness to the whole day. 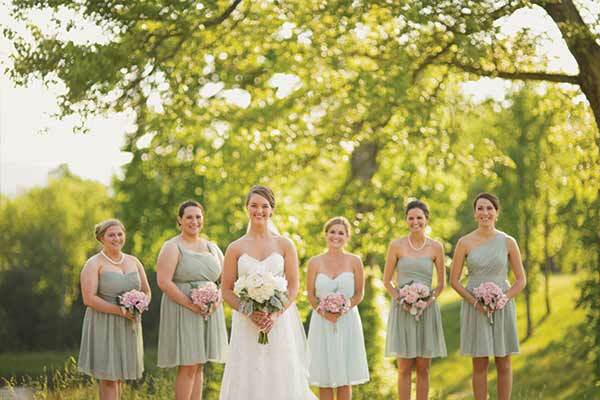 Make sure to see more of the Dawley wedding on page 102 of bridebook! Joanna Frye and Andrew Morris sure enjoyed taking their time. The couple dated off and on in high school, but it wasn't until they both got to college that their relationship got serious. On that same theme, Andrew's proposal was drawn out over the course of eleven months. For Valentine's day, Andrew gifted Joanna with a box of envelopes. The final envelope in the box contained tickets to see the Biltmore House at Christmas. While taking pictures at the overlook of the house, Andrew said "I just really want to marry you!" This was no surprise to Joanna, as Andrew had been saying this for months. This time, though, Andrew got down on one knee. Joanna and Andrew's wedding did not have a "theme," but instead, the couple aimed to invoke a certain feeling in their guests. Their goal was to make them feel welcomed and invited. To do this, the couple utilized soft blushes and ivories, with the occasional pop of navy blue. As the night continued, the pink shades began to darker, and the color scheme was brought full circle with an ombre flower cascade on the staircase at their reception. The food they served at their wedding was very important to both Joanna and Andrew. The couple worked with their caterer to create food stations that reflected these favorite places, flavors, and foods that the couple was able to experience together during the course of their long distance relationship. And then, of course, there was the wedding cake. With Joanna being a pastry chef, many people expected that she would be making her own cake. However, she wanted to be able to enjoy her day as the bride that she was. She worked closely with the caterer designing the cake, and she was able to really bring her vision alive, without having to stress about assembling the cake herself. The wedding was made possible by close relationships with not just the guests, but many of the vendors as well. Working closely with these vendors, that they already had close relationships with made the planning process all the more special. That planning paid off, and the couplewere able to celebrate their marriage in a day full of flowers, good food, and great company. 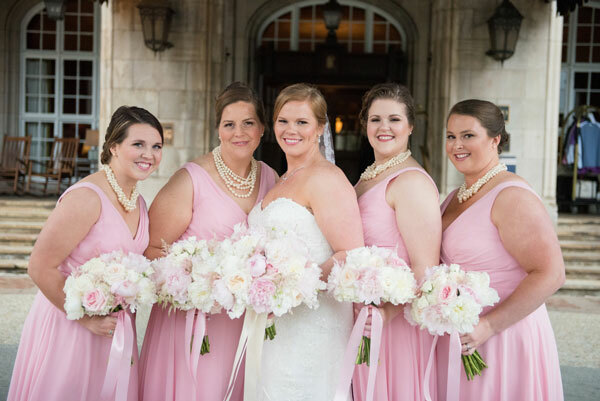 Make sure to see more from the Morris Wedding on page 44 of bridebook! Joanna and Matthew met through mutual friends, but it was on a snowboarding trip that they really got to know each other. Their friends were instrumental again during Matthew’s proposal. They kept Joanna distracted all afternoon while he set up in their driveway with a blanket and a single rose. There was a firepit in the backyard, and he left her there while setting up candles, roses, and a bubble bath inside. Joanna didn’t have any idea what was happening until he finally popped the question. Joanna had originally asked for a first look with Matthew, but he didn’t want to do it, stating he wanted to do it “old school.” In the end, Joanna was glad they didn’t; seeing each for the first time as she walked down the aisle was the most emotionally charged moment of the night, and it became her favorite memory of the day. Make sure to see more of the Ferris Wedding on page 117 of bridebook!